Sage Magazine is honored to award Sarah Guy’s “Power Struggle: Pushing Back on Alaska’s Susitna Dam Proposal” as a co-winner in our 2015 Emerging Environmental Writers Contest. 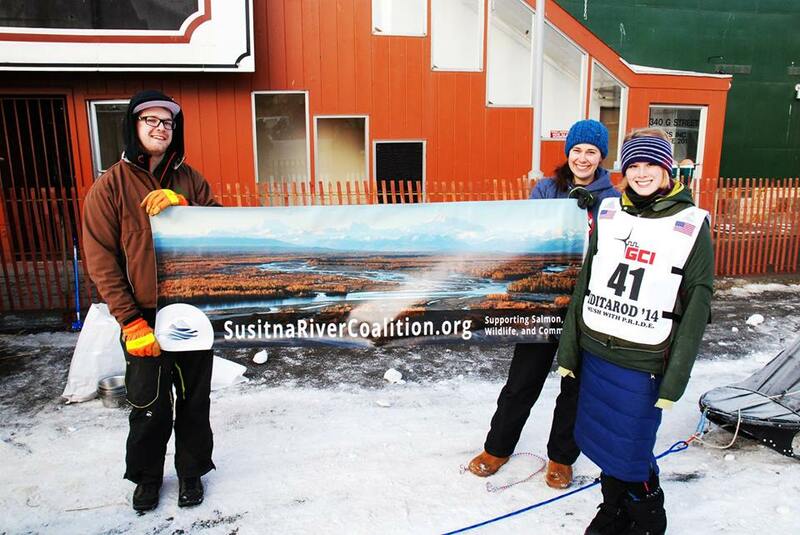 The first time I saw the Susitna River was the same day I heard Alaska Energy Authority explain their plans to dam it. It was the summer of 2014, and my research on energy development and conservation had led me to Talkeetna, Alaska for a public hearing on a hydropower project. Talkeetna is located about 80 river miles downstream from the site where Alaska Energy Authority has proposed to build the second-tallest dam in North America. Talkeetna is not officially a town, but rather a quirky “census-designated place,” with a population of 879. The mayor is a 17-year-old tailless cat named Stubbs, who has attended to his mayoral duties since 1997 at Nagley’s General Store on Main Street. 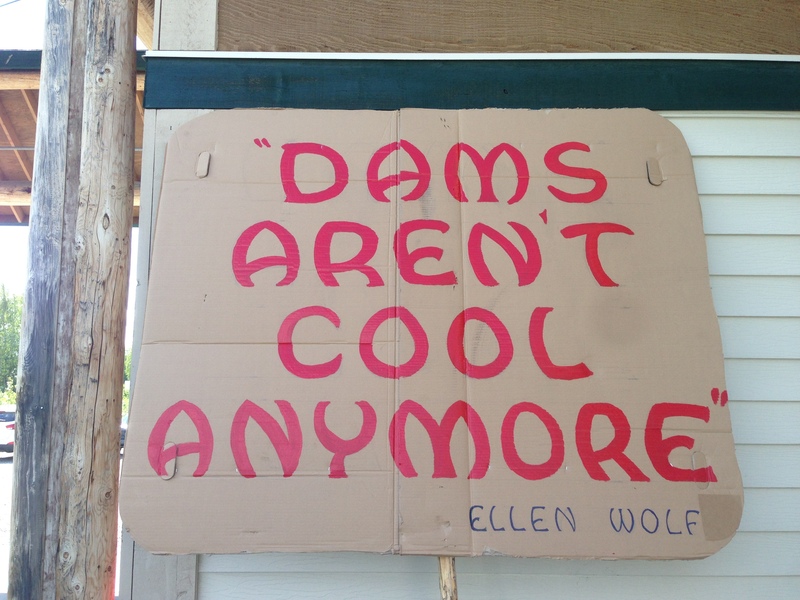 It might be an unlikely hub of political activity, but Talkeetna has become the de facto center of the effort to stop the Susitna dam and an example of communities around the world working to protect their watersheds from the impacts of massive hydropower projects. I kept heading north on a sandy path along the river and encountered a railroad track that carries the last remaining train in the United States that will stop and let you board if you flag it down. On the graffiti-covered railroad trestle someone had painted a forbidding-looking human skull with a fish skeleton for a mouth. Below the skull are the words “NO SU DAM.” I later learned that the skull has become a symbol of the effort to stop the dam, and I grew accustomed to seeing it on stickers and banners around town. One of the signs outside of Alaska Energy Authority’s public hearing on the Susitna dam proposal. I knew only a few details about the hydropower project to be discussed at the hearing, scheduled to take place at the senior center. I wondered if anyone would show up. When I pulled in, the parking lot was packed. Stack of signs with slogans like “Damn the Su Dam” leaned against the wall outside. I asked why the signs had been abandoned at the door and was told that people had been asked to leave them outside to maintain a civil atmosphere during the meeting. Inside, signs promoting the project with artist’s renderings of the dam stood on easels placed carefully around the room. It was standing room only. I hung in the back and listened. The AEA project manager presented the project, touting “clean, reliable energy for the next hundred years.” The 735-foot dam would have an installed capacity of 600 megawatts, with an expected production of 300 megawatts a year—enough to provide half of the electric needs of the corridor known as the “railbelt” between Anchorage and Fairbanks. The estimated cost of the project: $5.2 billion. The state was currently in the process of completing 58 studies required by the Federal Energy Regulatory Commission, the final step in approval for the project. The studies covered topics including water, wildlife, fisheries, recreation, and project safety. The project manager took everyone on a computer-generated aerial tour of the dam site. He swooped in to point out a tiny baseball field next to the neat little row of homes that would be built to house the thousand construction workers who would have jobs building the dam. It looked as if everything had been planned perfectly. The project manager then opened the discussion up for questions and concerns from the audience. People were agitated. “Don’t you know that water has consciousness?” one person cried. “As far as I am aware, it has not been scientifically proven that water has consciousness, no,” an AEA scientist replied. The questions got harder, and I began to realize just how much knowledge was in the room—and what exactly was at stake if the dam were built. I learned that the Susitna supports all five species of Pacific salmon and that it has the fourth-largest king salmon run in the state of Alaska. Throughout their life cycle, the salmon rely on specific temperatures and flows, which would change drastically with the addition of the dam. Warmer water could also invite invasive pikes, a threat to salmon. I learned that the scientists had been hastily trained and came up with questionable results in the field, identifying some juvenile fish as “Chinohos” when they couldn’t tell if they were Coho or Chinook salmon. “Whole books have been written about fish identification!” the project manager told the crowd defensively. I learned that a misleading graphic, showing a count of just one salmon past Devil’s Canyon, near the dam site, had been disseminated throughout the state. “That really makes it look like there aren’t any fish in this river,” one person protested. The people in the room—many of whom had long counted on the Susitna’s salmon for food—knew this was not true. 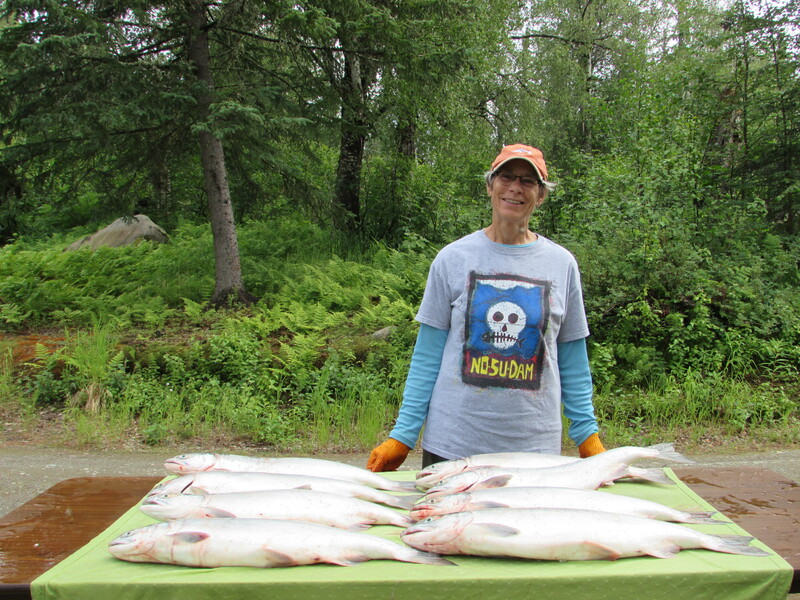 Talkeetna resident Diane Okonek sports a No Su Dam shirt as she gets ready to process sockeye salmon from the Susitna River. I learned that AEA’s projections of energy costs were far lower than estimates from another model put together by an economist from the Institute of Economic Research at the University of Alaska Anchorage. And that the “electric needs” of the railbelt projected by the AEA did not include heat—a huge portion of the costs people pay to survive the long Alaska winters. I learned that the state was also considering installing a natural gas pipeline and could not possibly afford to finance both projects. An elected official from the state legislature nodded his head when this point was raised. I also learned that the area was one of the most seismically active in the state and had experienced an earthquake with a magnitude of 7.9 in 2002. “Susitna” means “river of sand” in the native Den’aina language; silt and sand from the glaciers would build up behind the dam. Later, I asked a local what guarantees AEA could provide for dam safety in the event of another big earthquake. A state-of-the-art warning system, she told me with an eye roll. Over the course of several hours, the crowd of about 80 people aired their concerns. Some objected to the most popular hunting lands in the state being flooded by a 42-mile long reservoir, and they wondered what would happen to the Nelchina herd of caribou that crisscross the frozen Susitna in winter. Others were concerned that their children and grandchildren would never know the wilderness of the Susitna once the dam had been installed. Some questioned whether the bustling tourist trade would suffer if romantic notions of the Alaska wild were disturbed by enough concrete to pave a highway from Seattle to New York. Most of all, the crowd reacted strongly against the state agency pushing the project before the scientific studies necessary for a license application had been completed. “I don’t know much about science,” one person admitted, “but I do know about marketing.” She described the project and its advertisements as too slick and shiny. The crowd cheered. By the end of the meeting, 100 percent of the questions and comments had been challenges or outright opposition to the project. In the parking lot after the meeting, I met some of the board members from the Susitna River Coalition, a local nonprofit started in opposition to the dam. I walked away knowing that Alaska Energy Authority would be unable to proceed with the Susitna dam without a major fight. The meeting I attended was a blip in the long history of opposition to the Susitna dam. To understand how the proposal came about, I had to dig into the history of hydropower and the project. It’s a story of a costly government project that refuses to go away and of a state government turning its back on national trends. The Bureau of Reclamation, the federal agency historically responsible for building large hydropower plants and other water projects for flood control and irrigation, first conceived of damming the Susitna in the 1960s. Like almost all projects that rely on Alaska state funding, its construction depended on oil revenues. Prudhoe Bay, the largest oil field in North America, was not opened for production until 1977, and so revenues at the time were too low to support damming the Susitna. The project was shelved. In 1987, the Reagan Administration’s Interior Secretary, Donald Hodel, announced that the era of big dams was over. He charged the Bureau of Reclamation to turn toward an approach focused on water quality, conservation, and maintenance of existing projects. This shift reflected a broader trend in the United States, where big dam proposals were being turned down based on both economic and environmental grounds. It looked as though the Susitna dam might be part of the trend, as Alaskans decided the project was simply too expensive when it came up again for discussion. In 1986, Governor Bill Sheffield stated, “I can’t in good conscience be gambling with $3-4 billion of the people’s money to build Susitna.” Once again, the Susitna dam proposal was rejected. Many Alaskans believed that it was the last they would hear of the project. They were wrong. More than 20 years passed. Then, in January 2009 and amid record-high oil prices, Governor Sarah Palin set a new goal for the state of Alaska: By 2025, 50 percent of the state’s power would be generated by renewable energy sources. It was the most ambitious renewable energy goal in the United States. Conservation groups nationwide applauded the announcement, calling it a pivotal moment of national significance. But their applause was premature, for somewhere in Juneau in the state legislature, an old proposal that could help reach the new goal was dusted off: the Susitna dam. In the decades since the idea of damming the Susitna was first conceived, the negative impacts of large-scale dams on watersheds have become clearer and the notion of hydropower from big dams as “clean” energy has become murkier. Problems include the blockage of natural sediment that replenishes coastal wetlands and beaches; inadequate and expensive fish passage for migrating species; habitat fragmentation; and hydrological changes in flow, temperature, and dissolved oxygen that disrupt entire ecosystems finely-tuned to natural processes. Most recently, methane emissions from the decaying material in dam reservoirs have become a major concern. Methane is a greenhouse gas whose emissions drive climate change even more aggressively than carbon. Scientists have estimated that emissions from reservoirs from large dams total 104 teragrams worldwide every year. I was startled to learn that this is about on par with annual methane emissions from fossil fuels, estimated between 80-120 teragrams. The economics behind large dams add to the case against their construction. In a 2014 study, a team of Oxford researchers examined the costs of 245 hydropower projects around the world. The authors summarized their findings: “We find that even before accounting for negative impacts on human society and environment, the actual construction costs of large dams are too high to yield a positive return.” They found that, on average, large dams overran projected costs by 96 percent and had an average schedule delay of 44 percent. This estimate would put the total costs of the Susitna dam at $10.19 billion. “Policymakers, particularly in developing countries, are advised to prefer agile energy alternatives that can be built over shorter time horizons to energy megaprojects,” the authors recommended. As older dams in the lower 48 have come up for federal relicensing, states and utilities have questioned whether operating a dam the size of Susitna is a worthwhile endeavor. Many have concluded that it is not, and the number of dam removals has increased dramatically. Billions of dollars have been spent taking out obsolete or environmentally degrading dams. The largest dam removal in history started in 2011 on the Elwha River in Washington, costing $351 million. The project has been heralded as a restoration success as vegetation shot up in the drained reservoirs, released sediment rebuilt wetland habitat, and salmon and trout quickly returned to parts of the Elwha for the first time in over a hundred years. Despite all the indications that the era of large-scale dams is truly over in the United States, Alaska has charged ahead with the Susitna dam proposal. To date, Alaska Energy Authority has spent $193 million on the Susitna dam. In December 2014, outgoing Governor Sean Parnell put another $20 million in the budget for 2015—enough to keep the project limping along but a fraction of the cost needed to complete the scientific studies effectively. Still, with advertisements in newspapers and other public relations efforts throughout the state, the agency continues to push the project. Talkeetna has been pushing back. “We didn’t want to become experts on dams,” one local opponent told me. But they have, immersing themselves in the minutest details of licensing proceedings, ecological impacts, seismic risks, energy economics, and renewable alternatives. Slowly, a suite of state and national groups has joined their cause, including Trout Unlimited (where I worked as a summer intern), Natural Resources Defense Council, The Nature Conservancy, Wild Salmon Center, and the Center for Water Advocacy. From my kitchen in Talkeetna, I started to learn more and more about the negative impacts of large-scale hydropower. One day at the post office, I checked out the bulletin board—an eclectic assortment of announcements and advertisements—looking for something new to do in the evening. Amid warnings of bear sightings and requests for band members, I saw an ad for a sweat lodge. It sounded like a great way to forget about the possibility of the Susitna dam for a little while. I wrote down the address and drove out to a round house off the Talkeetna spur road. We alternated between sweating inside and running to jump in a cold lake in the rain. Feeling refreshed, I introduced myself to the person next to me. Her name was Lisbet Norris. 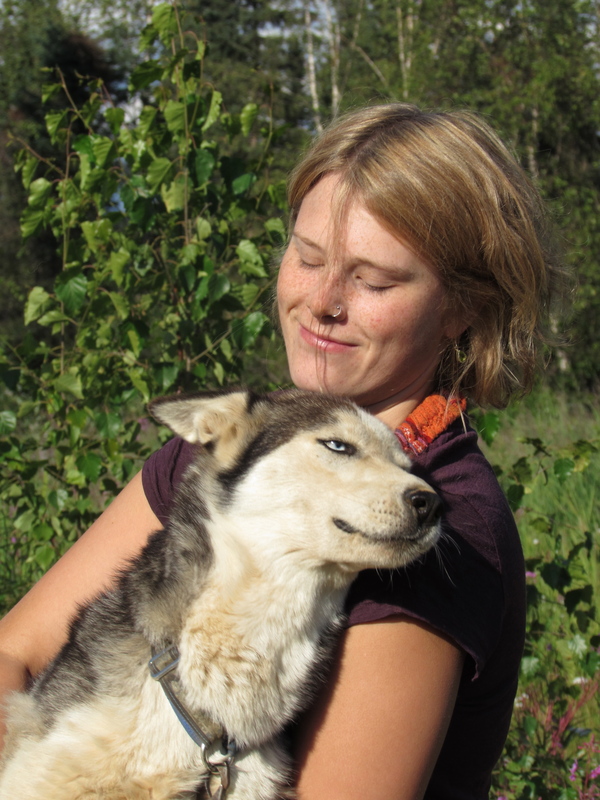 Soon I discovered that she had been the youngest woman to finish that year’s Iditarod. “It’s a dog sled race,” she explained to me. Despite being a newcomer from the lower 48, I had of course heard of the legendary thousand-mile race. Still, I had a million questions. Eventually, they would lead me back to the Susitna dam. Lisbet Norris and her lead dog, Ruby. Lisbet and I continued our conversation over dinner at the West Rib Pub in town. Later, I visited the family kennel her grandparents started in 1946. She piled one, then two, then three puppies in my arms. Though it was warm enough to wear shorts and a T-shirt, Lisbet showed me how the dogs’ feet were bred for ice and snow and explained how their coats keep them warm during long race days and nights. Lisbet raced the Iditarod with her team flying a “NO SU DAM” flag. She is worried about the dam as a musher, an Alaskan, and a lover of nature. The dam would change the natural flows of the river dramatically, with less than half of the normal amount of water in the summer and more than ten times in the winter. Ice patterns would become less predictable. “People could die,” Lisbet told me. I had spent so much time thinking of the salmon, caribou, bear, moose, and birds of the Susitna that I had failed to consider the human lives at stake. I wanted to see more of the Su, so I asked Mike Wood, president of the Susitna River Coalition and a local fisherman, if I could join a boat ride to the area below the proposed dam site. Mike has been described to me as a “reluctant politician,” someone who would rather be fishing, hunting, or working in his shop, but feels compelled to spend his time on calls, e-mails, and meetings to protect the Susitna. A few miles upriver from Talkeetna, we stopped at the Woods’ homestead. Like all of the people who make their homes “up the tracks,” Mike and his wife, Molly, live entirely off the grid. They stay powered by solar and virtually connected with a satellite, but if they want to get to town they must either take a boat down the river or ride a four-wheeler for six miles on the path that runs parallel to the railroad bed. Despite its remoteness, the homestead gave the impression of abundance: their gardens teemed with vegetables and their freezers were stocked with berries, salmon, caribou, and moose. Molly handed us a shoebox full of hot moose-sausage breakfast burritos wrapped in tin foil, and we continued our way up the river. It was cold and rainy for much of the day, yet parts of the trip felt downright tropical. Because of the nearly 20 hours of sunlight in summer, much of the river and its islands are lined with outrageously tall ferns. Waterfalls cascade down from the high banks. Mike quickly disabused me of my tropical fantasies, pointing out the damage on trees caused by the violent ice breakup each spring. The destruction allows for new growth, which is then eagerly devoured by moose. It was all part of a cycle that the ecosystem had adapted to over thousands of years. Had I arrived the previous summer, the river would have been buzzing with helicopters and boats for the contractors hired by Alaska Energy Authority. They had planned on taking two years to perform the scientific studies necessary to apply for a hydropower license, but their budgets had been cut dramatically in the second year. There was little contractor activity seen during our seven-hour trip. We passed a few fish wheels for counting migrating salmon, only one of them manned. We stopped to chat with the fish biologists. They reported that their shifts had been cut from 18 hours to 12 and admitted that calculating the mass of salmon moving upstream was problematic. In September 2014, National Marine Fisheries Service flagged over a dozen issues in the Susitna fish studies where they were concerned with the integrity of the data, including an “inability to estimate relative fish abundance.” They concluded, “Given the current issues with the data, it is not plausible that the data for predictive modeling be used to describe baseline conditions or to predict potential impacts.” It was a harsh assessment after two years of scientific studies and $193 million of state funds spent. We stopped at Portage Creek, where it was raining and sunny all at once. I walked along the gravel bed, keeping up with a bright red king salmon as he fought his way up the clear, cold waters of the creek. I wondered where he had been during his life at sea, and how far he had traveled to return to his birthplace. I wondered if he had been counted. Our last stop on the way back was at the site of the former Curry Hotel, a posh resort built in 1922 for train passengers going from Anchorage to Fairbanks. The hotel once boasted a golf course, a ski slope, and a dining room offering stuffed roast turkey with cranberry sauce, Virginia ham with sliced pineapple, and prime rib of beef au jus. Once a faster train arrived, business suffered. When the place burned down in the 1950s, no one bothered to rebuild it. Now it was littered with a few abandoned railroad cars, some historical signs, and barrels of gasoline and other equipment for the dam contractors. As we walked around the abandoned site, we heard a bird trapped inside an old railroad car. We pried open a window but we were too late to save it; the bird had died. I hoped that the Susitna could be saved. With the ruins of the Curry Hotel in my mind, the idea of building more infrastructure that could also be made obsolete by new technology seemed foolish. And with the knowledge of restoration costs from other dam removal projects, it seemed wasteful to ruin a river that already functioned perfectly. I left Talkeetna before summer ended. Fall brings a dramatic shift for all the Susitna’s living beings, not just a summer intern heading back to school. The salmon, having migrated hundreds of miles to their natal streams, have spawned and died, leaving gravel nests of eggs behind to hatch in a few months. The caribou prepare for their migration south. The climbers go home and plan their next expedition, perhaps returning to Talkeetna again in the spring for another chance at Denali’s summit. The dam scientists head back to their offices in Anchorage or Seattle or Portland and work on interpreting their data. Those who stay wait for the tundra to turn brilliant colors, for the northern lights to appear, for the first snowfall, for the lakes to freeze enough for skating. I think of them often. I imagine them writing letters, filing comments, attending meetings, and explaining their objections to friends, neighbors, the legislature in Juneau, and the staff at FERC. I think of how absurd it is that the burden of defending a great river has fallen to this small knot of people, how demanding an effort it is to stop an outdated, twice-rejected idea. I think of how politicized nature has become. “There is little learning from past mistakes,” wrote the Oxford researchers of the dam study, “forecasts of costs of dams being made today are likely to be as wrong as they were between 1934 and 2007.” But surely we could learn something. In the face of all our knowledge about large-scale dams, we could save ourselves the trouble of building up and tearing down such costly, destructive projects. The state of Alaska could have the humility to cut its losses on the Susitna dam once and for all. Talkeetnans could get back to their lives on the river. 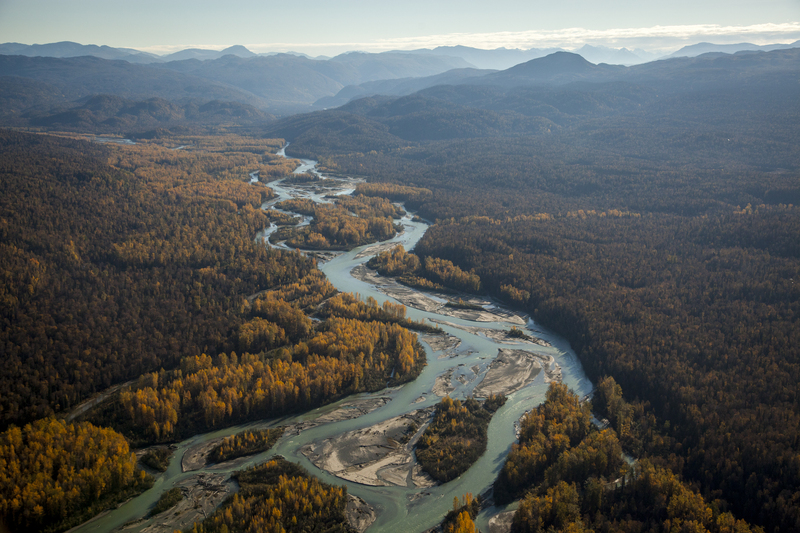 And the Susitna will continue to flow as it has for millennia: undisturbed by our negotiations over its fate, wild and free for hundreds of miles, from the glaciers to the sea. Sarah Guy is a 2015 graduate of Yale's School of Forestry and Environmental Studies. I live in Portland, Oregon where our knowledge of dams and their detrimental effects increases year to year. Just a short while ago the PGE Marmot Dam was removed…obsolete and only continuing to cause negative stream function. Thanks for your story on dam building in Alaska. I thought our country had moved beyond dam building. I will put this on my list to advocate against. Cheers. Thank you Sarah, excellent summary of this insane project. And the insanity only keeps growing. Alaska is currently in a budget crisis due to collapsed oil prices. The state is cutting education, public safety, health, senior care…the list goes on. Meanwhile AEA continues to spend $97,000 every day on this monstrosity, a million dollars every ten days. We would do better to pile the money and burn it, at least that would be less destructive. Your essay is very well thought out, researched, and so readable. You are to be congratulated. I live on the Susitna and watch the ups and downs of this huge river. I am located downstream from Talkeetna . Sadly no research was done downstream, and completely ignored the Willow area that supports thousands of boat users that travel on the river in the summer. Also snowmachiners and cross country skiers use the frozen river to get to cabins and watch the Iditarod in the winter. Your statement of “how politicized nature has become” is so sadly true. Thank you for your insights on the Susitna Dam.